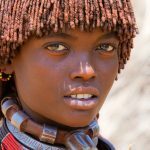 Ethiopia is truly a Land of discovery with more than 80 different ethnic groups each with its own language, culture, custom and tradition. brilliant and beautiful, secretive, mysterious and extraordinary. Above all things, it is a country of great antiquity, with a culture and traditions dating back more than 3,000 yea rs. The traveler in Ethiopia makes a journey through time, transported by beautiful monuments and the ruins of edifices built long centuries ago. Ethiopia, like many other African countries, is a multi-ethnic state. The differences may be observed in the number of languages spoken – an astonishing 83, falling into four main language groups: Semitic, Cushitic, Omotic and Nilo-Saharan. There are 200 different dialects. Ethiopia also has a rich tradition of both secular and religious music, singing and dancing, and these together constitute an important part of Ethiopian cultural life. 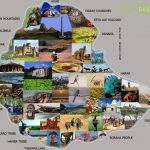 It is a country one of the most significant areas of Ethiopian culture is its literature, which is represented predominantly by translations from ancient Greek and Hebrew religious texts into the ancient language Geez, modern Amharic and Tigrigna languages. The Hamatic language group, Konso excel as cultivators. 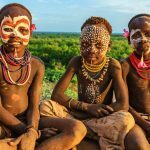 Their territory on the eastern rim of the lower Omo river valley lies in mountainous terrain at an altitude of approximately 5,000ft. Despite plentiful rain, it is difficult terrain for agriculture due to the steep inclines and the erosion caused. The Konso therefore have created elaborate terracing buttressed with stone. 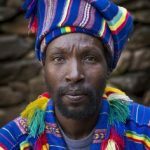 The Konso are sedentary, hardworking and materialist. They worship the sky god “Wag” venerate serpents and display elements of an ancestor cult, commemorating dead heroes with carved wooden figures known as “Waka” or “something of grandfathers”. Representing the sum total of man’s achievements, these totems are placed in open fields or by roadsides and depict the deceased his wives, the enemies he has slain in battle and any noble animals he may have killed. 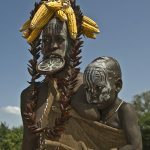 They definite age-set institutions, hold elaborate initiation ceremonials to mark the rites of passage from one grade to the next and wear phallic “Kalicha” on their foreheads during these ceremonies. 1 The Hamar are a semi nomadic tribe with a total number of about 55,000 and like the Borena, they are pastoralists. Although they are known for their skills of pottery, beekeeping, and smithing, their herds especially their cattle are the focus of their culture and of their socioeconomic life. Even their vocabulary reflects this concern. There are at least 27 words for the subtle variations of colour and texture of cattle, and every Hamar has several names, including a Goat name. These are a superstitious people who believe that evil and bad luck (mingi) exists in certain unholy or impure things. Twins, a child born out of wed lock, and children, whose upper milk teeth come before their lower cones, are considered to possess mingi and for this reason, they are thrown into the forest to die. The Hamar have evolved an elaborate age-grade system characterized by periodic “rites of passage” which celebrate transition from one age grade to the next. Hairstyle is important here. By far the most significant ceremony is known as the “jumping of the Bull”. For the novices passing from boyhood into early adulthood. he Gamo Gofa region. The tradition is to leave the Omo valley during the rainy season beginning in May or June and to move on to the higher plateaus. They are Nilotic/Omotic origins. They remove the lower inclsor teeth and don’t practice circumcision. make room for the future lip plate for which Mursi women are well known. They use the plate to discourage slave traders, to prevent evil from entering the body, and to indicate the number of the cattle required by the wear’s family for her hand in marriage. The bigger the plate the more the cattle. The Karo live primarily in the village of Duss along the banks of the Omo and today their number is less than 600 individuals. As such, they are an endangered people. The Karo are especially noted for their exuberant body painting dances and celebrations. They differ from all of the other ethnic groups of the Omo in that they live in one main village. They are directly related to the Hamar, speaking a ditect of Hamar. The two tribes are descendants of a very ancient indigenous Omotic population whose origin has been never been determined.